They’re a five-piece from Hollywood. Lead singer/guitarist Kevin Preston also does guitar duty for Green Day’s side project, Foxboro Hot Tubs. 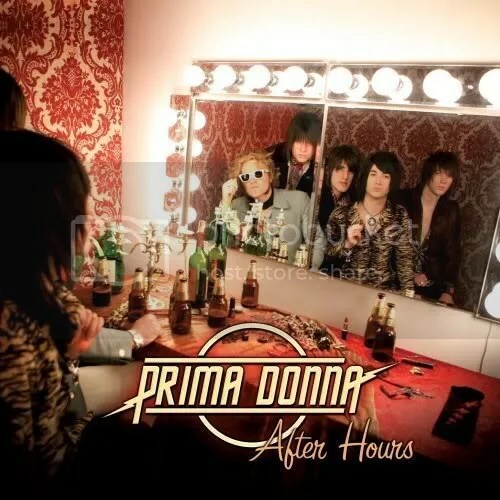 Prima Donna is a glam/punk rock band, complete with dumb lyrics, big guitars, and saxophone that would make the Stones proud of the instrument’s usage in rock music. I like bands like this; they’re not trying to reinvent the wheel, just playing music reminiscent of their favorite rock and rollers, and having fun doing it. Recommended if you like Green Day and The Darkness. This entry was posted on September 10, 2008 at 12:00 pm and filed under TheSlacker. You can follow any responses to this entry through the RSS feed.